Buying a home is a huge investment—and you can’t exactly read Amazon reviews to get a sense of any problems that might crop up after you’ve plunked down your money. That’s why it’s smart to get a home inspection before you close the deal. 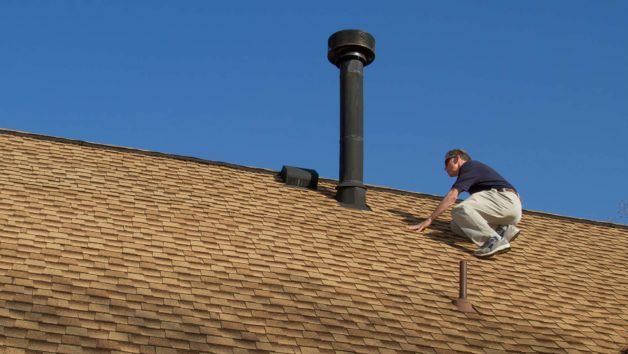 But since home inspections aren’t free and that cash comes out of your pocket, you might be wondering: How much does a home inspection cost? According to the U.S. Department of Housing and Urban Development, a typical home inspection costs $300 to $500. That’s a drop in the bucket compared to the agony these inspections can save you down the road. 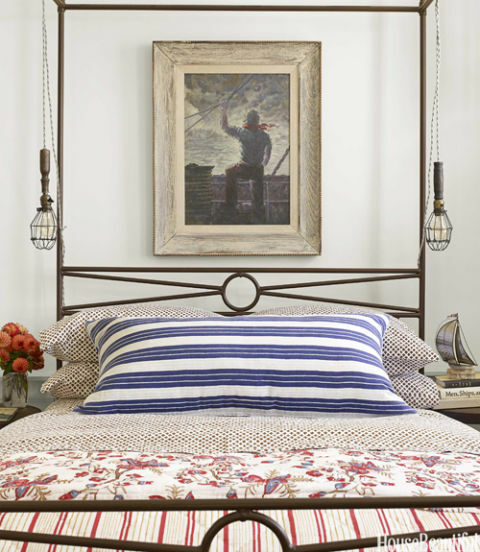 But the exact price will depend on the size of your home, where you live, and what you want inspected, says Claude McGavic, executive director of the National Association of Home Inspectors (NAHI). What should not make a price difference is the “thoroughness” of the inspection, the final written report, and the photos the inspector delivers to his client. 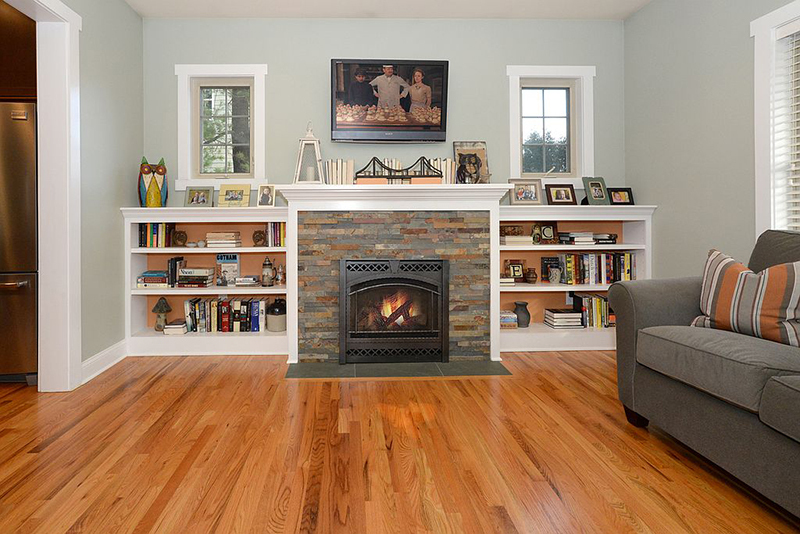 These should be standard features of any home inspection—not extras. “Specialty” inspections go beyond the typical scope of a home inspection and evaluate anything from radon to well water. These extra inspections can inflate the price anywhere from $25 to $200, depending on whether the inspection requires special equipment or lab testing. Most people struggle to find balance in their daily lives – then throw in having your home on the market during the holidays, and you may feel like you’ve entered the Danger Zone. But while you might be ready to throw in the towel, I am here to encourage you to keep your home on the market (or list it) during the holiday season. According to the recent National Association of Realtors annual conference in New Orleans, Google searches and the resulting leads over the holidays are more efficient than any other time of the year. And more real estate searches happen on Google in the month of January than any other month of the year! Demand for house hunting searches increases on average 39% from December to January. Thank you to my friend, Valerie Garcia, for summarizing some of her key takeaways from the conference! The bottom line for these stats is home buyers that are searching now are more serious than other time of the year. 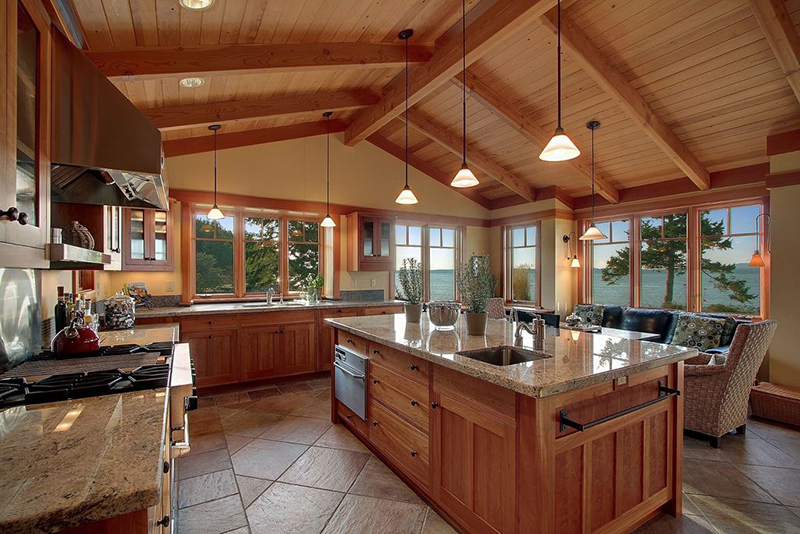 And with the lower inventory levels over the late Fall and Winter months, your home can really stand out. I don’t know about you, but my home doesn’t look any better than it does at the holidays. At least once a week I will stand on the street and look at my own house because I love the way it glows. Something about the twinkling lights and extra decorations leads to a more emotional response when people walk into your home. People buy emotionally, and the holidays are a great time of year to have potential buyers feel that bond to your home. Remember to set boundaries. Make sure to communicate with your agentconsistently and let her know of dates and times that will be challenging for showings. Give yourself grace. You can’t do it all, but you can do your best. Keep in mind that your agent is here to help you. Communication is key. You still get to have a life while your home is being marketed. Make sure to talk with your agent and let him know of any concerns. Add a dash of spice. My home not only looks good covered in glittery decorations, but it smells great at the holidays too. Even when the candles aren’t lit, they still fill your home with warmth. Santa isn’t the only one that likes cookies. If your holiday calendar looks like mine, there is at least one cookie exchange in your near future. 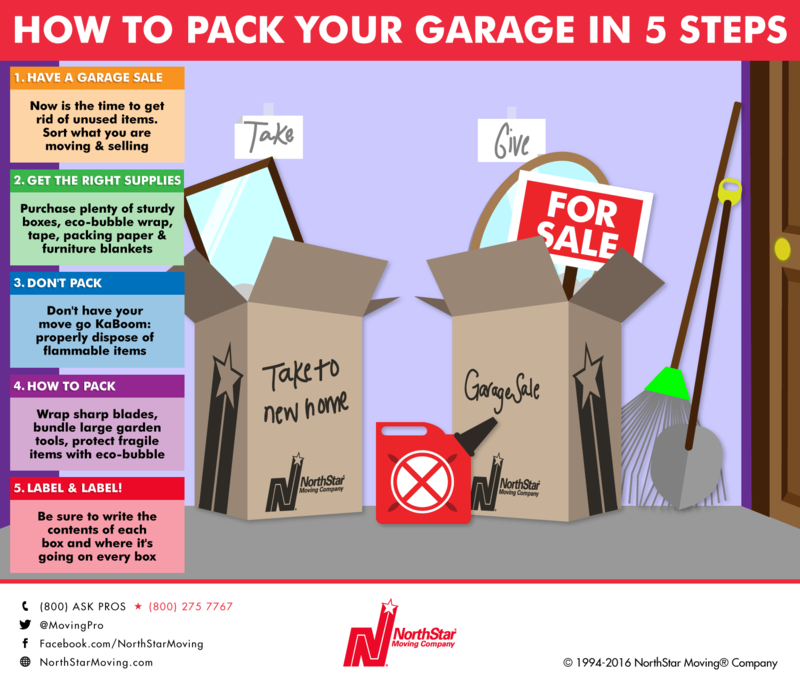 Take advantage and leave some out for the potential buyers. It’ll give them a reason to stay a little longer, and you won’t have to worry about what to do with all of the extra goodies. 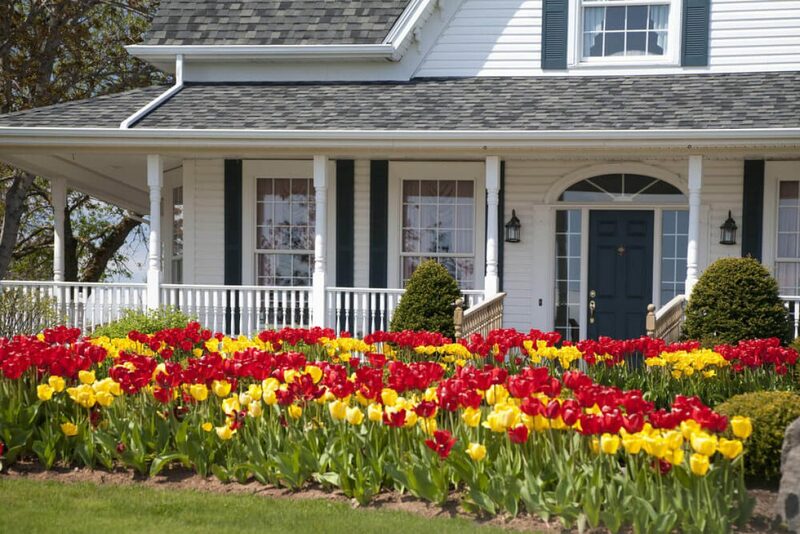 It’s the most wonderful time of the year… for selling your home. With the advantages of more motivated buyers, lower inventory, and the added emotional appeal, you might just find yourself having some very happy holidays! Selling Your Home? Light it Up! 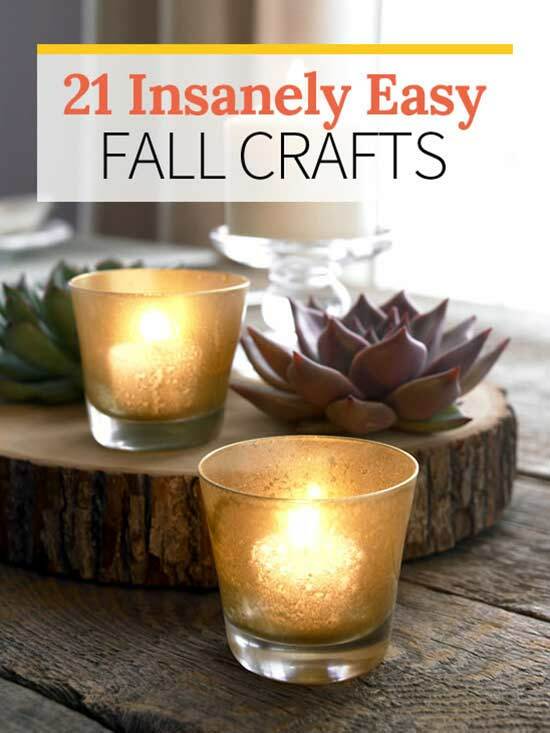 Let your lighting set the mood for any fall get-together with this easy craft idea. Start by spraying a light mist of water into a glass holder. Working inside the glass only, spray a light layer of metallic gold paintover the water beads, leaving theglass slightly translucent. Let dry, then add a layer of gold glitter spray to finish. 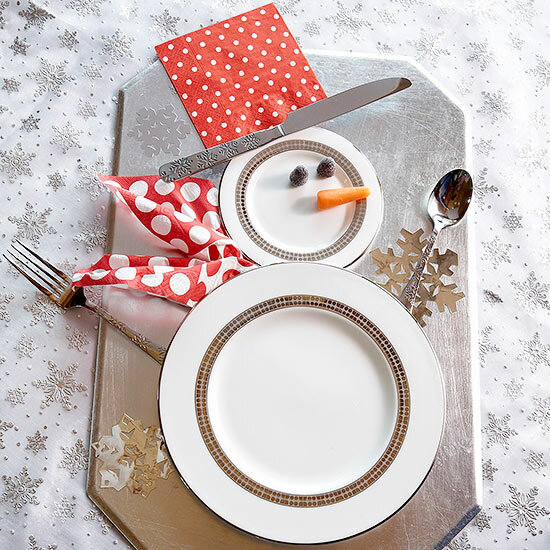 Welcome your guests to the dinner table with an adorable snowman made from plates and silverware. Use a dinner plate as the snowman’s body and a dessert plate as his head. A fork and spoon easily transform into arms; a knifeand square napkin combine to form his top hat. Let a differently patterned napkin peek out from under the plates to serve as a scarf. A carrot and two gumdrops bring his face to life. Spread cheer in your neck of the woods with a festive holiday message. 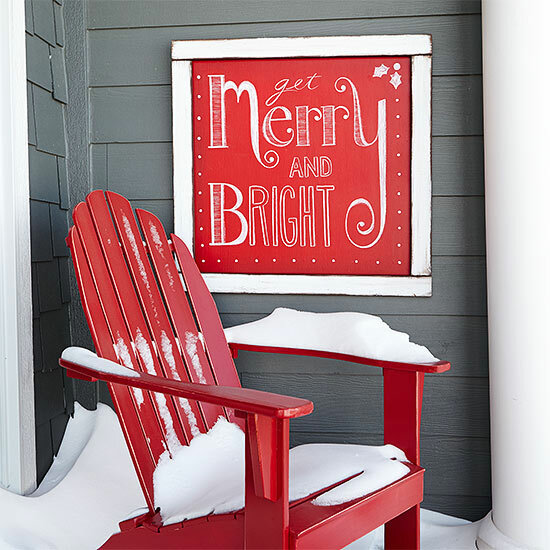 To make the Christmas sign, paint a piece of plywood with a mixture of plaster of Paris, water, and red paint. We went with “Get Merry and Bright,” but you can add your favorite holiday sentiment using white chalk. Coat the sign in clear sealer to make it last year after year. These are from my table and my decorations that I use and have you can make this display too . 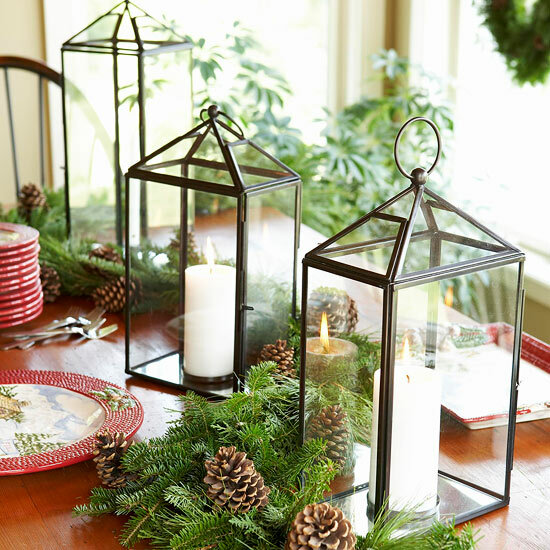 Pull together a top-notch Christmas table display with our easy decoration. Simply place white pillar candles in clear glasslanterns with metal frames. Add an evergreen garland and pinecones to finish. Just 4 items needs. 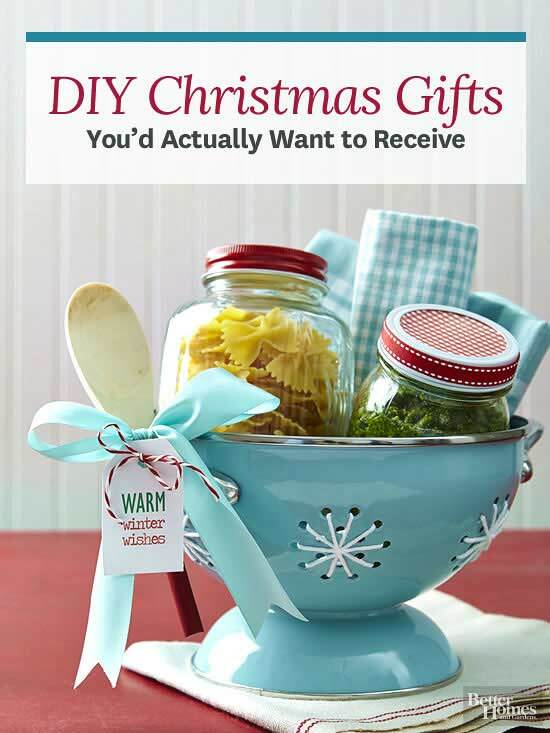 For the friend who’s got a busy weeknight schedule, give the gift of a worry-free dinner. Fill one jar with pasta and one with pesto or a favorite sauce. Embellish jar lids with festive ribbon. Add white yarn to colander holes for snowflake look. Finish with printable tag and a ribbon bow. 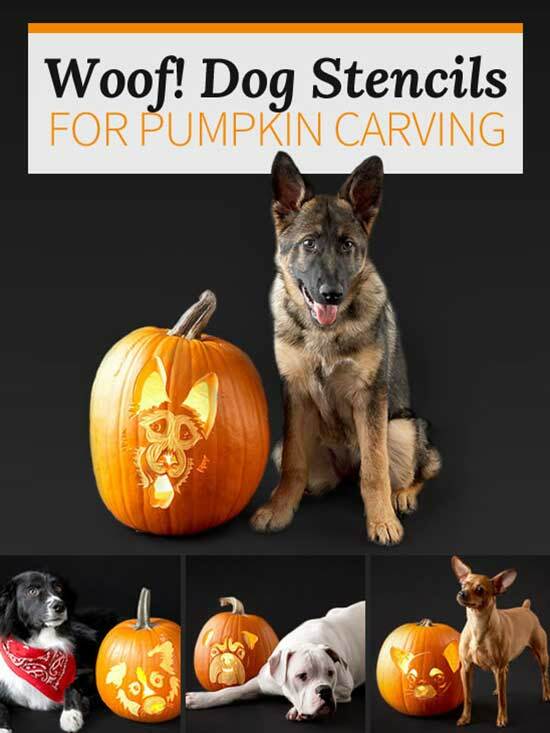 Let your friends and neighbors know which dog breed is best by carving a Halloween pumpkin that looks like your favorite canine. 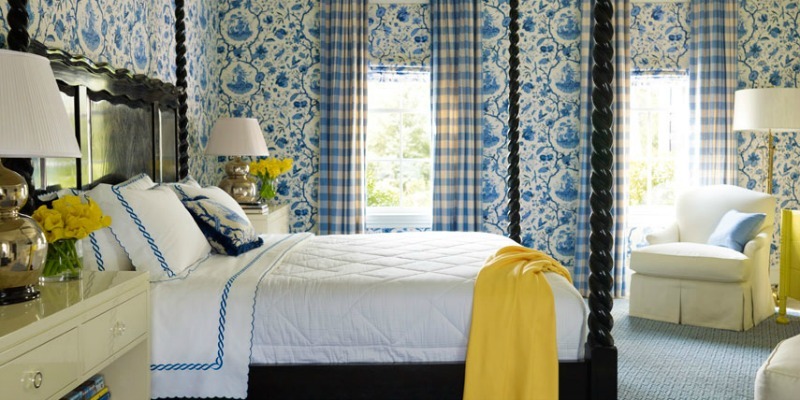 A little wallpaper, paint, and or colorful accents could make such a big difference in your home. 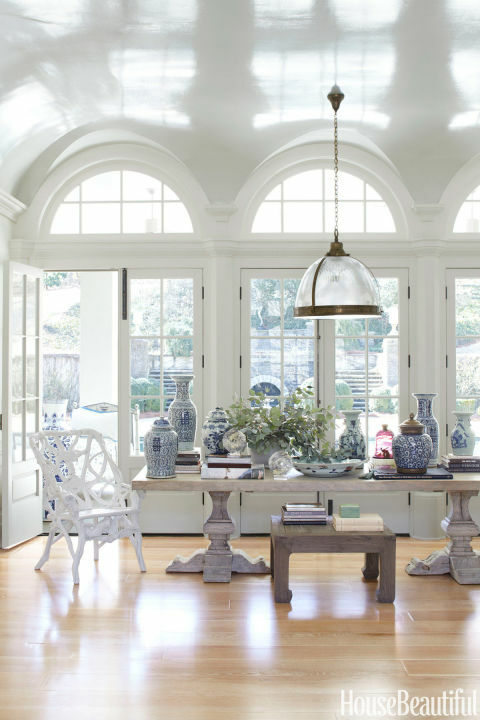 In the living room of an Atlanta house by designer Beth Webb, an elm plank table from Clubcu, which often doubles as a dining table, dramatically displays a collection of Chinese porcelains. “The pieces don’t have to match, but they do have to play together well,” Webb says. Get your punch on and dream desserts enjoy trying them. Line a 15x10x1-inch baking pan with foil. Place scoops of sherbet on baking pan. Freeze until ready to serve. In a large punch bowl combine pineapple-orange juice concentrate, ginger ale, and club soda. Add scoops of sherbet and orange slices. If desired, add a few small pieces of dry ice to create a smoke effect. Everything you love about a classic apple crisp, but on the grill! These individual foil packs filled with tender apples and a sweet oat crumble are a cinch to make and perfect for tailgating for the big game. When I think of the perfect tailgating menu, I think of meaty chili, juicy burgers, chicken slathered in barbecue sauce, and cold, cold beer. But if you’re like me, after all that hearty, finger-licking food, I crave a bite of something sweet — like this grilled apple crisp made in an individual foil pack. 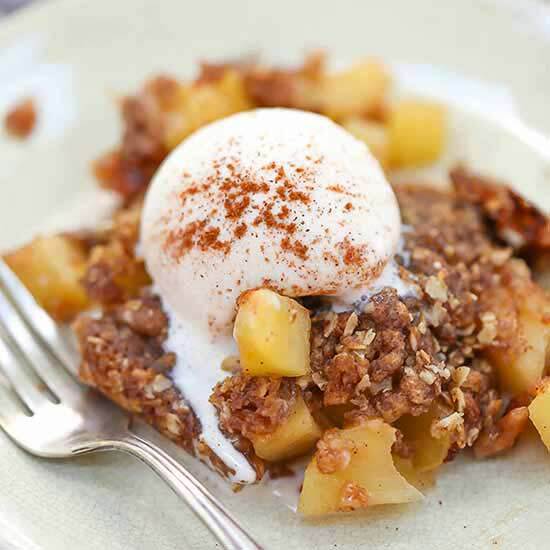 The apples are warm and tender, the brown sugar oat topping is sweet and crunchy and, when topped with a scoop of vanilla ice cream, the flavor is pure heaven. 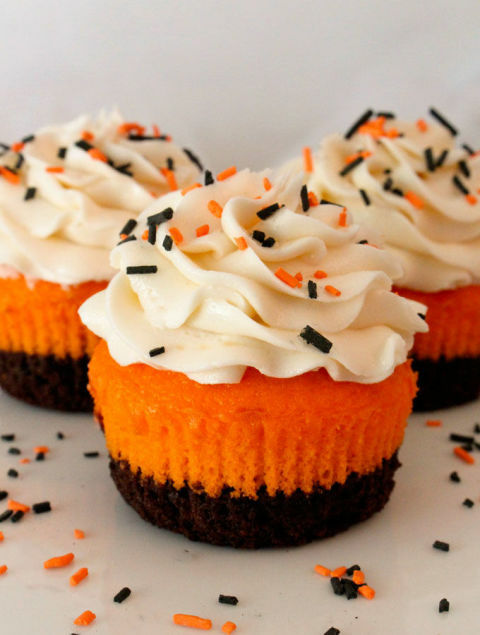 Whip up a cupcake creation that is sure to dazzle your Halloween party guests by decorating store-bought or homemade cupcakes. Our Halloween cupcake monsters, black cats, witches, and ghosts are all magic to make and decorate! Owls are cute, but baby owls are a hoot! 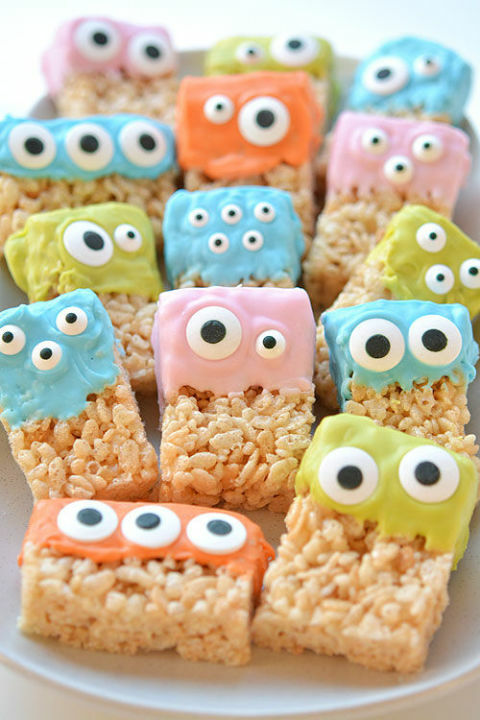 When it comes to the Halloween dessert buffet, these adorable owl desserts take the cake. 1. 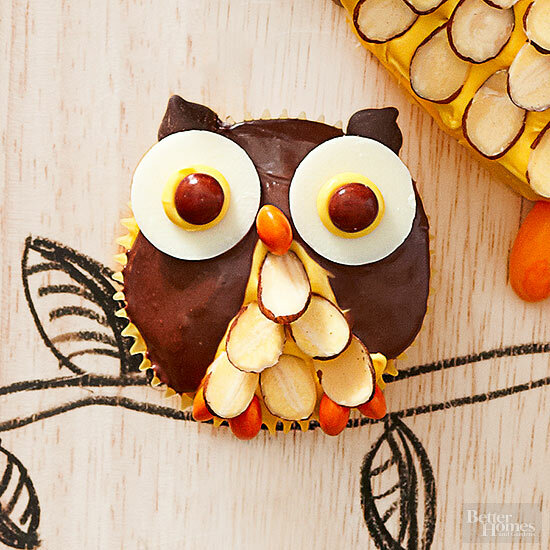 Spread head and body of owl with chocolate frosting, leaving a wedge-shape area for the stomach. Frost the stomach area with yellow frosting. 2. Insert sliced almonds into yellow frosting for feathers. Place chocolate chips on top of head for ear feathers. 3. Make eyes by adding two white candy coating disks topped with two mini brown candy-coated chocolate pieces stuck on with yellow frosting. 4. Use orange mini candy-coated chocolate pieces to make a beak and claws. How to create the ultimate haunted house experience at home. 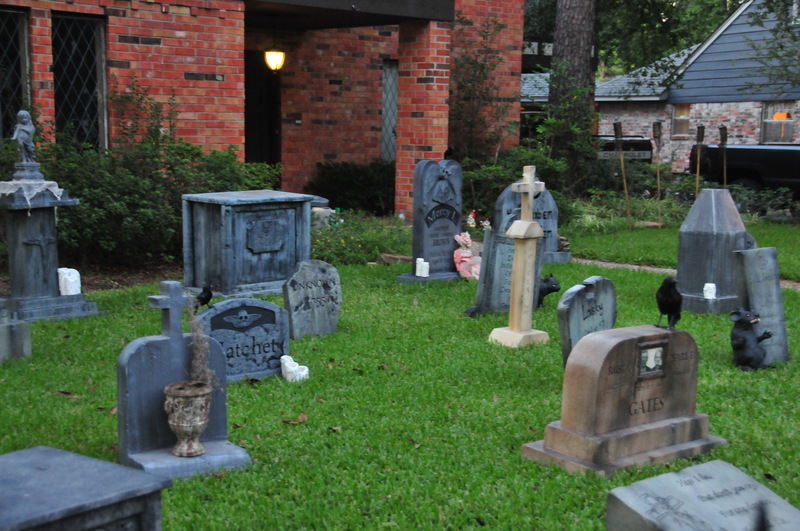 with doorbells a-ringing and children a-carroling “Trick or Treat”, the neighborhood comes alive on Halloween; and home is at the center of it all. For many, Halloween is the most fun time of the year; the last hurrah before winter comes and sends most of the country indoors until spring. While some are satisfied to celebrate by just setting a candy bowl outside of their front door with the “Take One Please” note posted to its side, you may be wanting to provide your family and friends with more. 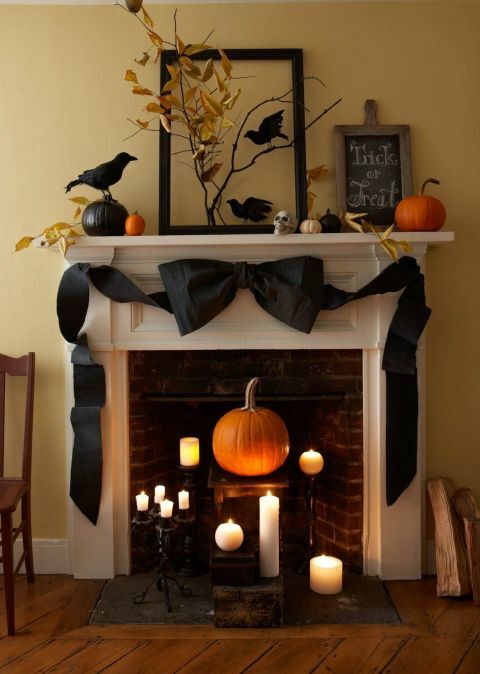 And what oozes the Halloween spirit more than turning your home into a haunted house for the party of the year! You want to make this year the Halloween people are talking about for years to come. Here are some tips and tricks to turn your house into a haunted one Michael Myers would be proud to call home. The first thing to plan out once you decide to make the ultimate haunted house is establish the boundaries for your fright fest. Do you want a completely immersive experience taking place in every room from backyard (as long as it’s not too chilly) to attic? 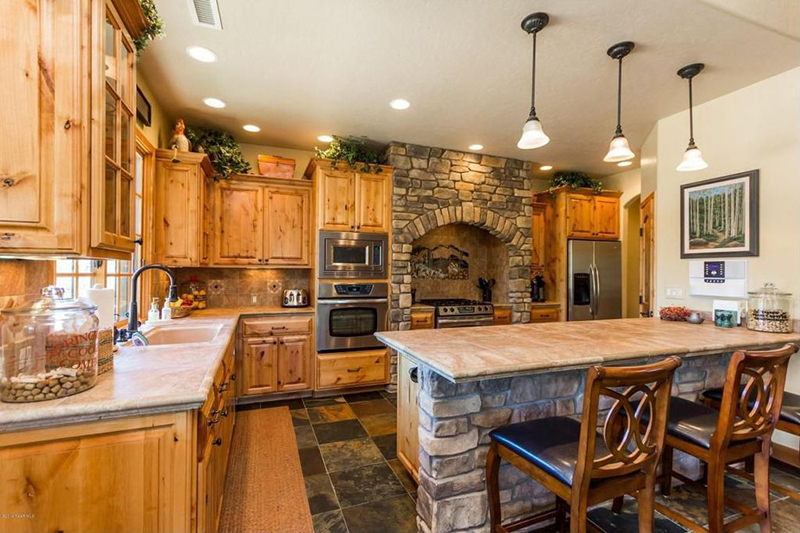 Or is limiting your guests to the basement or garage going to allow for the most fun? You will also want to take ages of those who will be attending into consideration when planning out the activities. Are you going for terrifying? silly? or both? If this is a silly and fun “haunted” house for young children, maybe recreating the prom scene fromCarrie isn’t the best idea. Halloween is all about the mood. It is that feeling crawling up your spine when you hear the door creak while you are curled up on the couch with the blanket up to your eyes watching Scream. Lighting: It worked for Wes Craven, so making sure the lighting works to perfection will work for you too. Black lights are a quick and easy way to set the mood for the entire night. Strobe lights are another great way to get the blood pumping. Cover your furniture with sheets to make the lighting work even better and give more of an “abandoned” feel to your house. Music: This is going to be the soundtrack to your night. There are also plenty of classics and modern day tracks (“The Monster Mash” and Michael Jackson’s “Thriller” are pretty much required) to choose from, so make sure your playlist satisfies everyone attending. Fog: Who knew a fog machine (or dry ice) could make all the difference in the world? 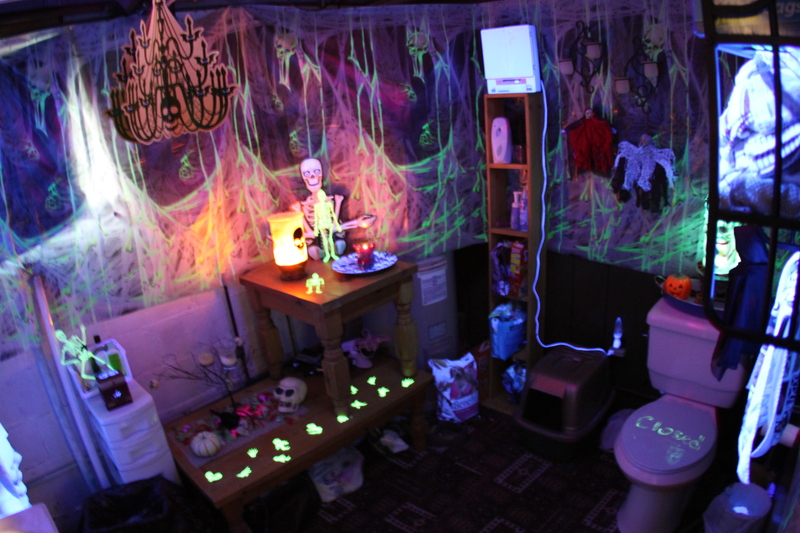 Your guests will be so impressed with your attention to detail they won’t care if they are scared out of their minds! 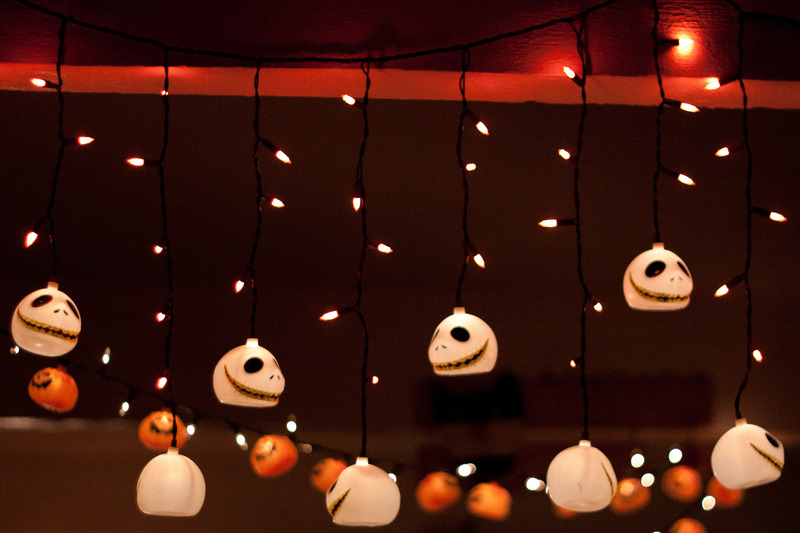 You can also start your guests off with a frightening thrill by the way you set up the walk to your front door! Now that the mood is set and your guests SOMEHOW survived the walk to the entrance of your haunted house, you want the inside to be just as death-defying. 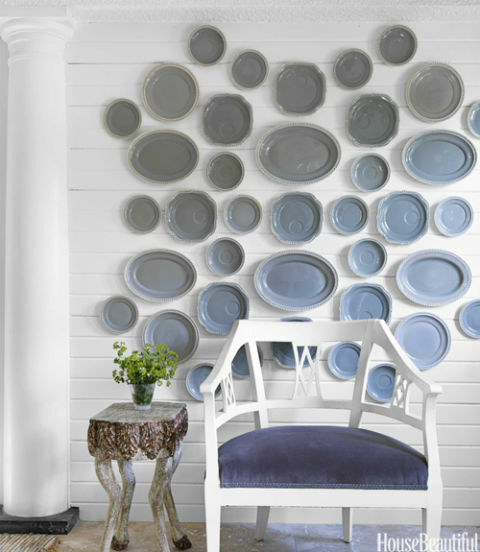 Wall Decorations: A couple of packs of fake spider webs to cover your furniture and fixtures is a great start. But there are also scene setters and huge Halloween themed wallpaper you can purchase that will transform any door or wall in your home. Hanging Decorations: Use fishing wire to hang fake bats and spiders along your ceiling. You can hang them at different levels also to give a feel that the scariness is all around you! Its All About the Details: This is where your creative juices will be put to the test. Every Halloween themed party needs a bowl of eyeballs (peeled grapes) and dish of brains (cooked spaghetti), but besides that, how creative are you willing to get? Is each room going to be based on a different scene from your favorite horror flicks? Is there going to be an operating room from the hospital of your nightmares filled with guts and brains? Or a witches lair with smoky cauldron, broomsticks and black cats? Here is where you can put your own spin on the haunted house! Have a few friends willing to go all out with you or have the budget to hire some actors? 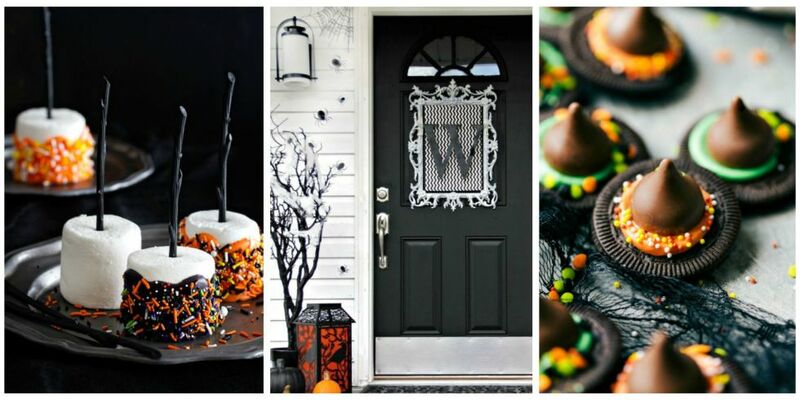 Strategically place them around corners dressed in their most frightening costumes (mummies and witches are the favorites) to scare all of your guests! While a haunted house is a fun way to get everyone together, Halloween doesn’t have to be all scary. Plan other activities like a costume contest, pumpkin carving competition or send your guests home with one of these delicious dessert ideas! But most importantly enjoy the holiday with family and friends! Coldwell Banker Bain | Seal, a leading Pacific Northwest real estate market brokerage, releases its third quarter market report providing a variety of statistics for the sale of homes in neighborhoods and counties throughout the Puget Sound region, and SW Washington and Oregon, as well as for segments including luxury and condos. The third quarter report reflects activity between July 1, 2016 and September 30, 2016. Observations by principal managing brokers working in each major market are also included.